The moon and stars must have been aligned. I posted something similar this morning about LinkedIn Groups. Thanks for pushing them! You have to play to win! Thank you foe this slap…it was much needed. After six weeks of aimless job searching I will take your advice and “get in the mix”! Teresa If you don’t know where to start or how to start on LinkedIn, we are having a webinar on March 26th to help those with this. It will be very comprehensive. If you are interested you can check it out at http://www.impacthiringsolutions.com/index.php/linkedin-webinar-special-offer. Just cut and paste the link into your browser. Thanks for the LinkedIn push! My question is, how can I effectively network on LI for several different careers without looking like a job grabber? I am an out-of-work teacher who is still pursuing classroom positions, but at the same time searching for careers in other fields (I was in journalism/editing before switching to education). Because my primary work experience is in teaching high school English, I have a wealth of marketable skills that don’t neatly translate into the private sector – yet it seems that companies don’t want much to do with teachers. And, when a teacher is out of work, a four month-long minimum unemployment gap is practically a given on a resume. Suggestions? Help? Any advice is appreciated. Why do you feel like you would be a “job grabber”. There is absolutely nothing wrong with exploring different career options. The only problem is when you build you profile on LinkedIn – who are you trying to attract and for what type of job? How do you make the leap into the private sector with an english background? There is an increasing trend today in both freelance/consulting work and for actual positions where companies are seeking writers, editors, publishers, copywriters for web content – whether it be for their website, internet informational products, or blogs. The explosive wave of companies embracing content publishing over the next few years should be a great boon to people like yourself with a strong english writing background. Do you plan on having any more of these LinkedIn webinars? Or is there a PDF or video of the webinar you already had? I first heard of linkedin from a recruiter at Ingersoll Rand in Charlotte. I didn’t get a call, but I got on linked in and found it to be very useful. I see I’m a late comer to this site, but by chance are you doing anymore webinars in the future? I’ve joined Linkedin, but am afraid to admit I don’t know how to participate properly. 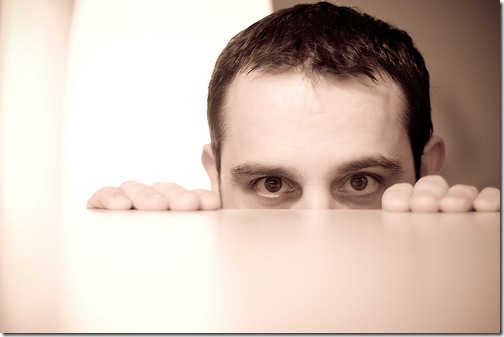 People on all forums are mostly lurkers. Only a small percentage actually contribute, and many of those don’t provide anything really useful. Although LinkedIn is really a social media site, not a forum, many of those same rules apply. I am definitely guilty of it myself. Despite having well over 100 connections on LinkedIn, and being a member of several groups, I rarely interact, although I do give reviews and recommendations when asked. It is a shame really, because there are many valuable relationships waiting to be had there.